Health experts and dieters alike acknowledge that weight sneaking back on after it has been lost is a tough problem. As researchers home in on how best to keep weight from returning, research suggests that diet composition—the proportions of protein, fat, and carbohydrate we eat—may play a role in minimizing weight regain. Resting energy expenditure, often called REE, is the amount of energy expended (measured as calories burned) by a person at rest. REE is important for a couple of reasons. For most people, REE accounts for about 60% of calories burned during a 24 hour period, which means the higher a person’s REE, the more calories he or she burns overall. A higher REE may help keep lost pounds from returning. Unfortunately, REE typically drops when people lose weight. Less body mass means a person needs fewer calories to maintain the new, lower weight. A newly slimmer person must address this decreased calorie burn by exercising more, or eating less, for life. Fail to do this and the pounds inevitably, and frustratingly, return. All participants followed each diet, in random order, for four weeks. The diets contained equivalent calories, and during each four-week period, researchers measured REE of each participant. Compared with their pre–weight loss REE, the decrease in REE was greatest with the high-carbohydrate diet, intermediate with the moderate carbohydrate diet, and least when participants were following the low-carbohydrate diet. This is one small study, and as one obesity expert highlights, we don’t yet know if the decrease in resting energy expenditure was lower on the low-carbohydrate diet, or simply appeared lower due to the loss of water weight. Still, the study suggests that diet composition influences the body, and may be a useful tool for preventing weight regain. While we wait to learn more, use our tips to find your own formula for long-term weight maintenance success. Stick to basics. A variety of diet compositions can foster weight loss, but all long-term weight-maintenance plans should include plenty of vegetables and fiber, and some fruit and whole grains—the whole foods that form the basis of good health. Find your formula. You can vary your intake of carbohydrates, protein, and fat to suit your needs; find the formula that works best for you. For example, if the breadbasket is your nemesis, you may be better off on a higher protein diet plan. Move more. 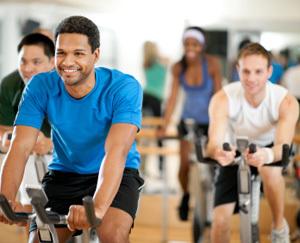 Regardless of diet, exercise is key for keeping pounds from returning. You don’t need to run a marathon—a 30-minute daily walk is a good start—but strive for consistency. Seek support. Many people continue to attend diet support groups or touch base with a weight loss or exercise buddy even after reaching a goal weight. This can keep you accountable and committed to your new, healthy lifestyle.